From 5th to 6th September 2016, the Congress centre of Sava Hotels Bled, Slovenia hosted the annual Bled Strategic Forum. As the leading conference in Central and South East Europe, the 11th Bled Strategic Forum, under the title “Safeguarding the Future”, provided a high-level platform for discussion of pressing regional and global issues. The main event was again accompanied by the Business BSF and Young BSF, where less common topics were the focus of debates on Hidden Dimensions of International Relations. 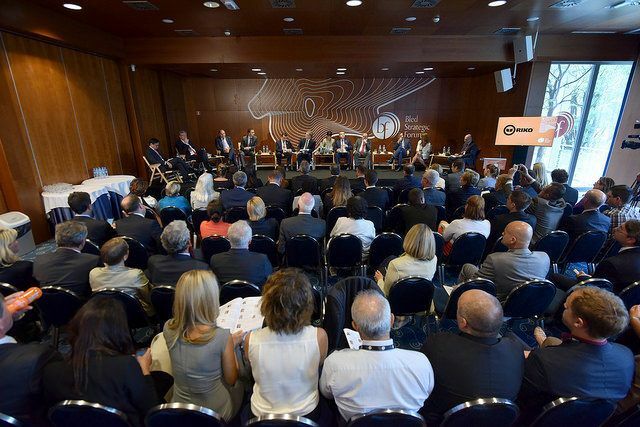 The Bled Strategic Forum remains one of the most significant international events in Slovenia, while the Tourism Panel has been part of its programme for three consecutive years. In this way, a pocket-sized Slovenia was presented to foreign participants through its cuisine. This year’s special feature was the inclusion of the hospitality industry in the Tourism Panel. Since the common threads of the Panel were security and sustainability in tourism, the culinary offer was focused on local specialties. The food was prepared by chefs Igor Jagodic (Kaval Group – Restaurant Strelec) and Simon Bertoncelj (Sava Hotels Bled – Grand Hotel Toplice), thus reflecting the beautiful story of two chefs from two different regions: Ljubljana as the European Green Capital and Bled as the host of the Strategic Forum. Communication between the chefs indicates openness and nicely sums up the fact that all tourism stakeholders are partners working hand in hand to optimise guest experience. Attracting several hundred participants, including heads of state and government, ministers, diplomats, representatives of the business sphere, scholars and the media from the entire world, the Forum started with the Leaders’ panel, held under the patronage of the President of Republic of Slovenia. The consecutive debates addressed issues such as water risks and positioning water as an essential factor of cooperation and an instrument of peace, the future of the European Union and weakening trust and solidarity among its member states, challenges posed by global energy trends, security of the individual as well as the need for adaptation of European security and defence structures.